Learn how to use ceramic underglazes to create 16 of your own personalized 4 x 4 tiles. Students will be exposed to stencils, wax resist and other surface techniques during this session. . These tiles can be used as trivets, backsplashes or our personal favorite — in a mirror. 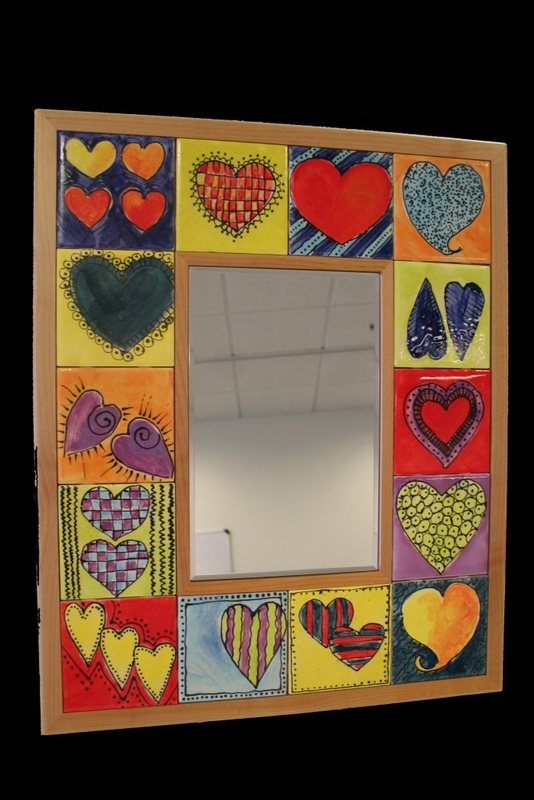 If you choose to do a mirror, you can purchase one from VisArts for $45 when you pick up your finished tiles. Each 19 x 23 mirror holds 14 finished tiles. Tiles are left at VisArts to be fired and are ready after 10 business days. REGISTRATION DOES NOT INCLUDE MIRROR.